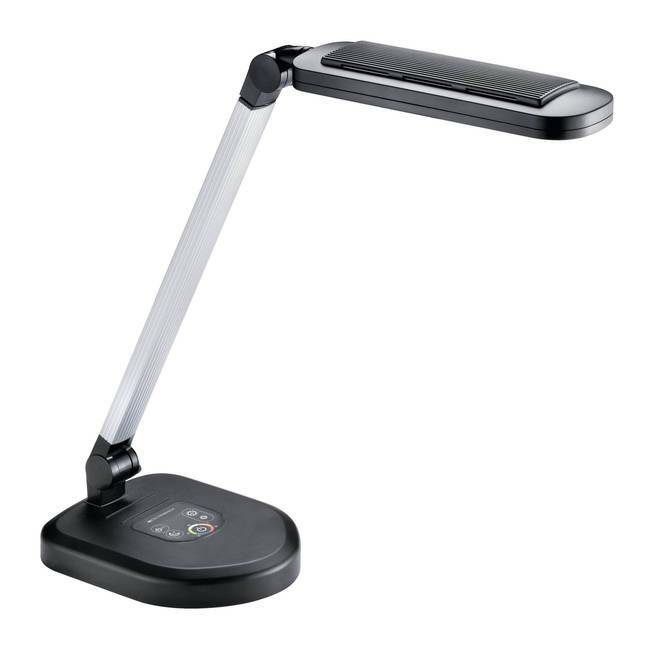 Even and glare-free illumination with hard shadows. 5 different colour tones (2,700°K, 3,300°K, 4,300°K, 5,300°K, 6,500°K) adjustable in 5 brightness steps for individual lighting requirements. Individually adjustable light head that can be turned axially and horizontally by up to 355 degrees. Multi-layer diffuser technology for: glare and hard shadow-free illumination, 100 % UVA/UVB light blocking and up to 90 % blue light damping. High colour reproduction index (CRI) at 90. Energy consumption only 10 Watt. Timer function for automatic switch off after 2 hours. Night light function with reduced brightness.